The Maine Unemployment Insurance poster has been updated to reference the federal agencies responsible for Social Security Number and or Alien Permit Number verification. The Maine Video Display Terminal poster has been updated with additional information. The poster now defines key terms and explains education and training requirements. 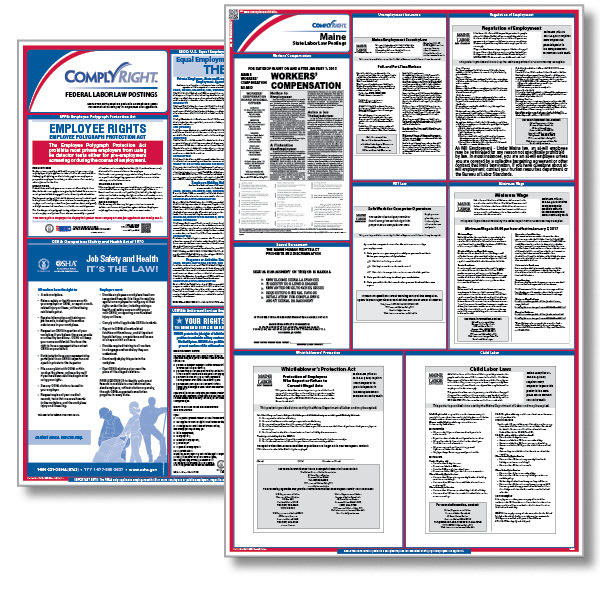 The Maine Unemployment Insurance poster has been updated to reflect that individuals filing for unemployment benefits are required by law to be registered with the Maine JobLink. The Maine Sexual Harassment poster has been updated to reflect a change to the TTY access number by dialing the Maine Relay 711 when obtaining additional information from the Maine Department of Labor. 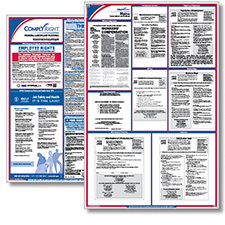 Federal Postings - 24" x 26.75"
State Postings - 24" x 37"